More than 3000 people filled a stadium in November, 2006, to farewell him after his passing from a heart attack, while his memorial service was broadcast on state-wide radio. It was the largest service of its kind in WA. Why? What was it about this kid from the country that evoked such an overwhelming response from the community? Wally Foreman grew up in a small country town named Bruce Rock – a place he made famous through his regaling of countless stories from The Rock. He was a career journalist and broadcaster, recognised by name and image, and he fundamentally changed the sporting landscape as the inaugural director of the WA Institute of Sport. 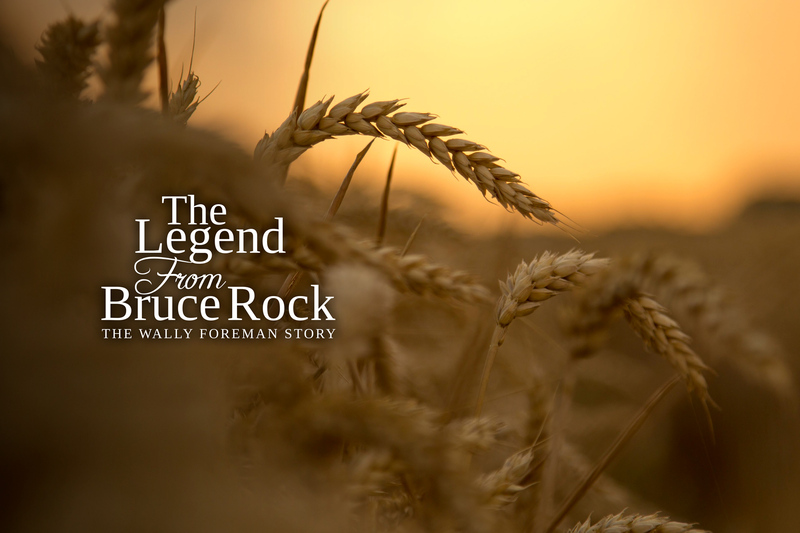 Written by his son to Charlotte, the grandaughter he never met, The Legend from Bruce Rock: The Wally Foreman Story details the remarkable, emotional and humorous life of a man who loved and impacted his home state, as much as that state loved and impacted him. NB: “The Legend from Bruce Rock” is a title borrowed from the poem of the same name, written by Mick Colliss’ and presented at Wally Foreman’s memorial service. The poem can be found here. Wally Foreman was born in Kalgoorlie in 1948 and the family moved shortly after to Bruce Rock – a town that he championed throughout his life. Foreman was drafted into National Service as a 20-year-old and ended his tenure as a 2Lt, having commanded the respected 3RAR out of South Australia’s Woodside Barracks. His discharge began a journey into the media that resulted in the Wally Foreman most people knew from the airwaves of national broadcaster, the ABC. Foreman’s life took a sudden turn in the early 1980s when he was asked by the State Government to be the inaugural director of the WA Institute of Sport. It was a position he accepted and held for a record 17 years, overseeing WAIS through tremendous growth and success until he returned to the ABC in 2001. He remained with the broadcaster until the day he passed away from a heart-attack – 2 November 2006. Any further details on the release date? Thanks for your enquiry about the book. It’s in final draft at the moment, so planned for release early to mid next year. would be keen to discuss selling in our bookshop when the time is right!